When your air conditioner in Calabasas fails, Pacific Coast Heating and Air will be there to restore the cool air in your home or office. Our Calabasas air conditioning repair technicians are available on short notice for any air conditioning problems you may be experiencing. Our licensed and trained technicians work on all brands of air conditioning units and systems. If a new system is required, we will give you several options to choose from. Pacific Coast has 24-hour AC repair professionals to resolve your air conditioning problems, day or night. We make sure that when you need us most, we are available in a timely manner. Why try to sleep in the heat? Call us now to get your AC repaired so you can sleep soundly tonight. When you live in Calabasas warm temperatures will be around for the most part of the year, it’s vital to have a fully functioning air conditioning system. And if there’s ever a particular time of the year that AC problems start acting up, it’s usually when you need it the most. Rising temperatures test the operation and working condition of your comfort air conditioning system, ignoring small problems now can result in a full system breakdown in the dead of summer which would require you to call an air conditioning repair company in Calabasas. To avoid getting to that point all together, keeping up with maintenance Tune-ups can help keep your system running as efficiently as possible. Need heater repair, installation, or maintenance in Calabasas, CA? Our focus is always on customer service and getting the job right the first time. Our Calabasas heater repair technicians offer heater repair on all makes and models of electric and gas heating systems and Wall Heaters. The hot Calabasas weather will have your AC unit working extremely hard. Doing an AC tune-up every year will increase the life-span of your Air Conditioning unit and ensure it won’t stop working when you need it the most. Summer is a very busy time for all air conditioning companies. You don’t want to be waiting hours or days before a company can service or repair your air conditioning unit. You can keep many significant problems from happening by getting an air conditioning tune-up every year. Tune ups can help your AC unit operate at or near original factory specifications. Getting a tune-up every year can save you thousands of dollars on repairs. The higher efficiency and longer life-span of your unit will make you glad you got a tune-up. In Calabasas, CA your AC unit will be continually working in the summer and many other times during the year. Sadly, if these units work too hard for too long they could stop working. You’re going to want to get the issue fixed as soon as you can for the sake of you and your family’s comfort. But don’t contact just any company, make sure you contact a company you trust to repair all your issues for you. Air conditioning systems may experience a broad range of different problems, you will need a technician that is knowledgeable on how to fix your issue. If your AC unit needs to be repaired then get a certified and licensed technician to find the problem, figure out how to solve it and repair it. Call Pacific Coast to get the best HVAC professionals to fix all your air conditioning problems as soon and efficiently as possible. Anytime your air conditioning unit has an issue you have the choice to either repair or replace it. Energy Star suggests upgrading your AC system if it is ten years or older. However, there are other issues that might suggest you need to upgrade. If your air conditioning system stops working regularly then consult with a licensed HVAC professional to consult you on what you should do next. 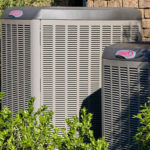 If your AC system can’t maintain your house cool and is causing higher energy bills, then it might be time to upgrade. Whenever you might have to make expensive repairs then you should consider if replacing will be a better and more affordable option. Pacific Coast has certified and licensed Heating and Air Conditioning Specialists that will be glad to inspect your AC system and see if a repair or replacement will be a better option for you. Most homeowners in Calabasas don’t know how valuable their thermostat is. Thermostats have one of the most important jobs in your house. A great thermostat should be able to maintain your home warm or cool and save you money. 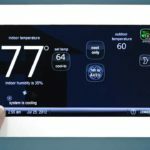 The best type of thermostat that can do this is a programmable digital thermostat. Programmable thermostats are suggested because they can lower your energy expenses with scheduling. You can program your schedule to increase the temperature when you leave and to decrease it when you get home. Great thermostats last many years, but eventually you’ll need to get a new one. An upgraded thermostat will increase the comfort of your home and savings. When that happens, Pacific Coast will be happy to help you decide which thermostat is right for your house and install it. It’s hard for homeowners to choose whether they need to clean or replace their home’s air ducts. Eventually you’ll need to replace your air ducts to completely eliminate all the air flow and allergen problems. Your old air ducts could have significant damage that prevents your ventilation system from operating correctly. If your AC unit is not operating correcting then it will cause higher monthly energy bills. You should replace your air ducts if they have ever had mold. Many times mold can be completely removed from metal ducts, but plastic ducts need to be replaced to get rid of all mold. It’s recommended to replace your air ducts if your house is over 50 years old, or if they have any extensive damage that can’t be repaired. Getting air ducts installed is not a do it-yourself task. Consult with a certified and licensed HVAC company in Calabasas and have them install and design your new air ducts.